This narrative-driven documentary nostalgically recounts the electrifying and almost unbelievable adventures of Jimmy and Terry Dougherty, two brothers who test the limits of their daring past the point of safety. “Grounded” follows the Pittsburgh siblings through their tumultuous and emotionally turbulent childhood with a demanding and often-absent father who kept their mother’s fatal illness a secret until her seemingly sudden death. Following her tragic and untimely departure, the Dougherty brothers are left to their own devices as their busy, grieving dad drowns his inconsolable sorrow in his highly-respected career as a pilot. Lonely, mourning and almost completely unsupervised, the misguided youth begin to experiment with low-level drug sales — primarily cannabis and acid. After years and years of lauded local success, one of the brothers is given the golden opportunity to take it to the next level. 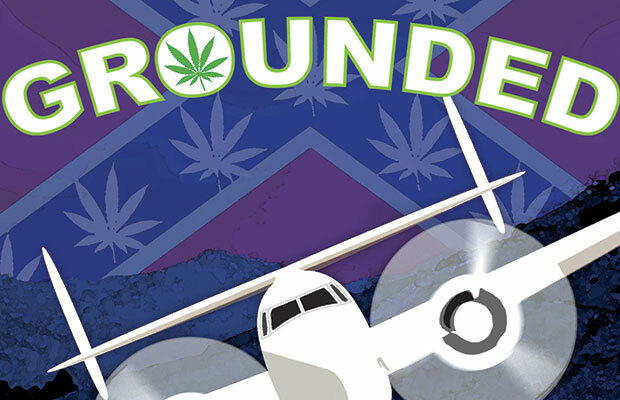 An invitation to drive a load of cannabis from one location to another here and there slowly turns into a more regular gig before growing into something that would require the aviation skills of one of the brothers that followed in their father’s footsteps. That’s where the big fun begins. Although the documentary starts off a little slow, it picks up speed thanks to the exciting accounts and details openly revealed throughout. It’s interwoven with mini-stories and edge-of-your-seat anecdotes that keep the retelling interesting to listen to, even if it does sound like a fabricated story an uncle would tell at a family gathering to make himself to sound cool. The only difference, though, is that it’s all true — there’s even newspaper documentation to substantiate a few of the more outlandish details. Even the part about bales and bales of cannabis raining from the sky one night onto a farm, killing a number of unexpecting bovine to the horror of the farmer who owned the land. Though the stories are action-packed and fascinating to imagine, most of the documentary alternates between shots of the graying, gruffly-voiced brothers and reenactments as they share their past shenanigans. Although it leaves much to desire in the aesthetics category, their compelling story helps to carry the lack of compelling visuals. For people who are intrigued by the dangerous and covert world of transporting and trafficking, this documentary offers first person accounts of the risky and rewarding life of hauling massive loads of cannabis. While it doesn’t have the frenzied pace of an action movie, it’s still a captivating tale of calculated uncertainty worth checking out. Originally published in issue 15 of Cannabis Now. A new year means a new batch of winter flicks to flick your joint to.